At Adobe Summit 2018, Adobe announced major advances to its global partner ecosystem, which now includes more than 5,000 agencies, systems integrators and technology partners. 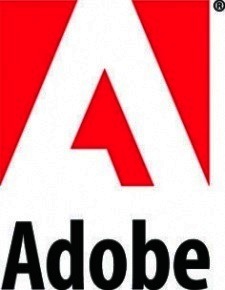 The company also announced new partner integrations, 40 new Adobe Cloud Platform Launch partner extensions and several additions to its Adobe Exchange marketplace-its central hub for brands to access third-party applications across Adobe Creative Cloud, Document Cloud and Experience Cloud. In order to deliver the best possible customer experiences in today's data-rich, high content-velocity world, enterprises need a robust platform that supports their existing systems yet provides pre-built and custom integrations. Adobe Cloud Platform connects enterprise systems that are critical to delivering a unified and complete customer experience and enables developers to create new integrations. At Adobe Summit, Adobe showcased hundreds of these applications that help customers solve key business challenges, including best-in-class Extract, Transform, Load (ETL) options, integrating commerce and social media insights and combining online and offline data. "We believe that data and content are the building blocks of any great customer experience and only Adobe offers an open platform and rich ecosystem to help with both," said Amit Ahuja, Vice President, Experience Cloud Partners at Adobe. "More and more partners are joining Adobe in its mission to make Experience Business a reality. At Adobe Summit we are showcasing how, together, we are creating more value for our customers and accelerating innovation." · Integrate Behavioral, Mobile and Campaign Analytics: Augment existing web and mobile analytics data in Adobe Analytics Cloud with heat map, video session replay tools from Clicktale, ContentSquare, Decibel and ForeSee.